Hemen Mazumdar (1894-1948) is a towering figure of Indian modern art. He devoted his entire artistic life to a battle against vision of the Old Bengal School and the orientalists, in favour of a universal language of art. At a time when it was considered “unpatriotic” to adopt western concepts of art, Hemen fought to represent Indian women through academic realism. He created a genre of Bengali beauties that captured the imagination of the contemporary Bengali public because of the novelty of their intimacy and their immediacy. They were not impersonal figures learned from art schools but palpable, breathing and real women. 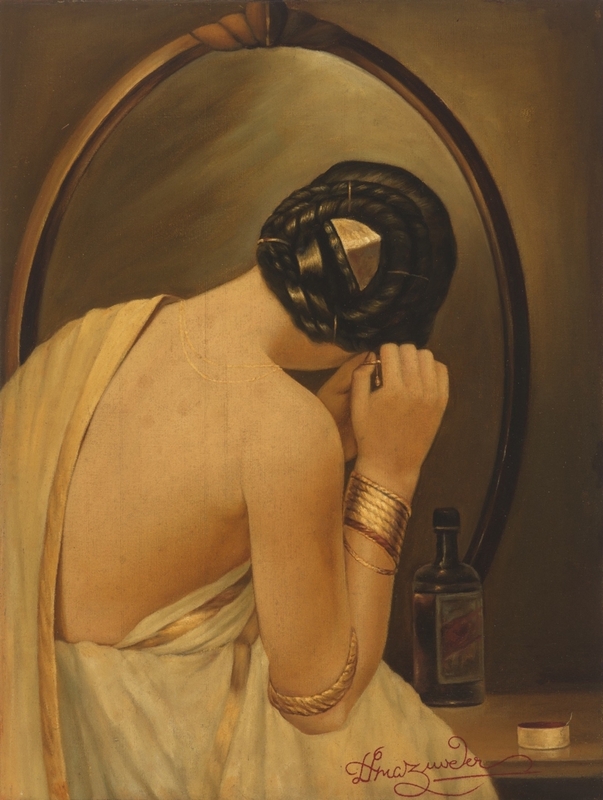 Mazumdar was obsessed with capturing the sexual appeal of the lighter-skinned elite women of Bengal, and even wrote verses on his paintings. The female figure conceived by Hemen Mazumdar enshrines the meaning and the symbolism of the eternal feminine. Women become the sole and profound source of inspiration. What emerges is a figure which is developed in both its earthly and sacred dimensions. Mazumdar builds his women giving them an almost sculptural grandeur, the figurative space is developed vertically and the artist creates figures filled with expressive power, frozen in small, typically feminine gesture, which gives them a composed sensuality with a sense of the eternal. Please note that registrations via email are required for this free lecture.